This month’s MagPi, the official magazine of the Raspberry Pi Foundation, is just a little bit special: it is, to my knowledge, the first magazine ever to include a cover-mounted computer. 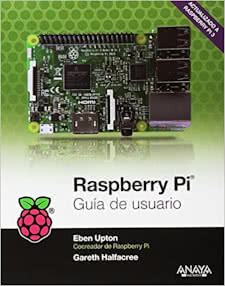 The release of the magazine today also represents the launch of a brand-new Raspberry Pi model: the Raspberry Pi Zero. 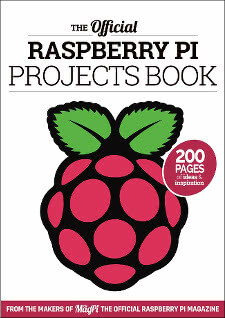 I’ve been lucky enough to have been playing with the Pi Zero for some time, having worked on three of the hardware projects you’ll find between the covers of this extra-special issue. After peeling the Pi Zero from the cover, readers will be shown how to solder general-purpose input/output (GPIO) headers onto its otherwise extremely flat face, connect its serial port to a computer for use as a true random number generator (TRNG), and use it with an existing HAT add-on to act as a mood lamp. The three projects I created for this issue were chosen from a long, long list. The Pi Zero is an exciting device: it features the same specifications as the Raspberry Pi Model A, but in a brand-new form factor a fraction of the size of the original. Naturally, some features have been cut: just like the Model A there’s no Ethernet chip, but there are also no CSI or DSI connectors and no analogue audio or video ports – though composite video is broken out to a solder pad for the adventurous. The ports that do remain have also been modified: the full-size HDMI port is replaced by a mini-HDMI, and the full-size USB port is a micro-USB port which requires a USB On-The-Go (OTG) adapter before it can be connected to standard USB peripherals. In doing this, the Foundation has created a device that excites me even more than the full-size models. 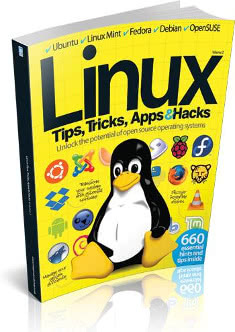 With a production cost so low that it can be cover-mounted on a high-street magazine, it’s now possible to put a full Linux computer in more project than ever before – and with a simple low-cost USB OTG adapter and a Wi-Fi dongle, it can be networked for a total outlay of well below $10. It is, in short, a game-changer, and I look forward to working on many more Pi Zero-related projects in the near future. If that wasn’t enough, you’ll also find my review of the Tenma 60W Digital Soldering Station which has been my trusty companion in various projects over the last couple of years. It’s always nice to be able to give a device a good, long-haul test before drawing your conclusions and I’ve certainly put the miles in on the Tenma. As I warn in the review a hobbyist doesn’t strictly need a soldering station, but it does make life easier – and the low cost of this unit, purchased from CPC, makes it easy to recommend for those who fancy an upgrade. All this, plus more – and, remember the cover-mounted Pi Zero – is available in your nearest WH Smith. 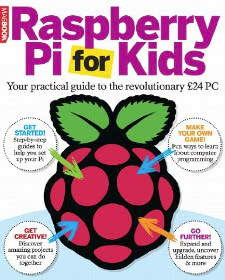 The magazine itself is also available as a DRM-free PDF download from the official website, licensed under Creative Commons terms, but obviously you’ll have to buy a Pi Zero separately if you want to follow along with any of my projects. My desk has been getting a little overloaded with new toys of late, so this month’s Hobby Tech column for Custom PC is review-heavy to help clear that backlog. 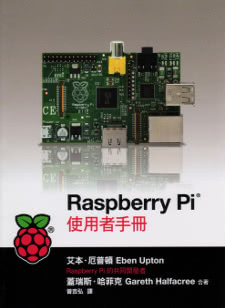 While the column opens with a two-page tutorial on building a PirateBox, this is followed by a spread looking at four of Pimoroni’s Raspberry Pi add-ons with a concluding page of my thoughts on Imagination Technologies’ Creator CI20 development board. Looking at the tutorial first, I have to admit to a little trepidation in asking my editor, Ben Hardwidge, to support something called a PirateBox. Thankfully, while its name is designed to raise eyebrows, the concept is free of anything that could reasonably enrage the copyright cartel. A PirateBox is simply a Wi-Fi router running a modified version of the OpenWRT Linux distribution, tailored for localised chat and file sharing. It has no connection to the internet, and if paired with the right low-power hardware can run for days from a cheap USB battery pack. While you could certainly use it to distribute copyright content illegitimately, the fact that you have to be in close physical proximity limits its usefulness – but it’s absolutely top-tier for sharing files at events, which is the use I had in mind when I set out to build the thing. Pimoroni, a local company just across the way in sunny Sheffield, made a name for themselves by being one of the first to build attractive and affordable add-on boards for the Raspberry Pi. Despite being good friends with the team, I’ve never actually reviewed any of their products – until Gee Bartlett took me on a tour of the factory and pressed four of their most popular creations into my hands. So, rather than spin it out over the next four months, a two-page spread was in order to review the boards: the education-centric PiBrella, the interestingly-shaped PiGlow, the impressive Displayotron-3000, and the retina-searing Unicorn HAT. Spoiler: they’re all pretty great, and the guys are working on some more advanced projects that I can’t wait to get on the test-bench for future issues. Finally, the Creator CI20. While it sometimes feels that all I do is test single-board computers – not that I’m complaining, they’re absolutely fascinating – the CI20 breaks from the crowd by using the MIPS instruction set architecture. The creation of Imagination Technologies – the company behind the graphics hardware that powered Sega’s ill-fated Dreamcast console, fact-fans – the board has clearly been taken from an existing oddly-shaped design but offers plenty of power for the maker community to hack around, including boasting significantly improved general-purpose performance compared to the majority of the ARM-based boards I’ve tested. All this, plus a bunch of stuff written by people who aren’t me, can be yours with a visit to your local newsagent or supermarket, or digitally via Zinio and similar distribution services.